I've seen a few attempts to recreate MetalBeard's film appearance around the net, but they've all fallen short of total accuracy by a significant measure. I looked back through the film and determined all of the differences, created an LDD model, ordered the parts I needed, and got to building. I believe I used the wrong color for the light grey parts in the LDD model, my bad. If you want to try your hand at building the model physically, note that there are a few parts that don't exist in the correct colors. 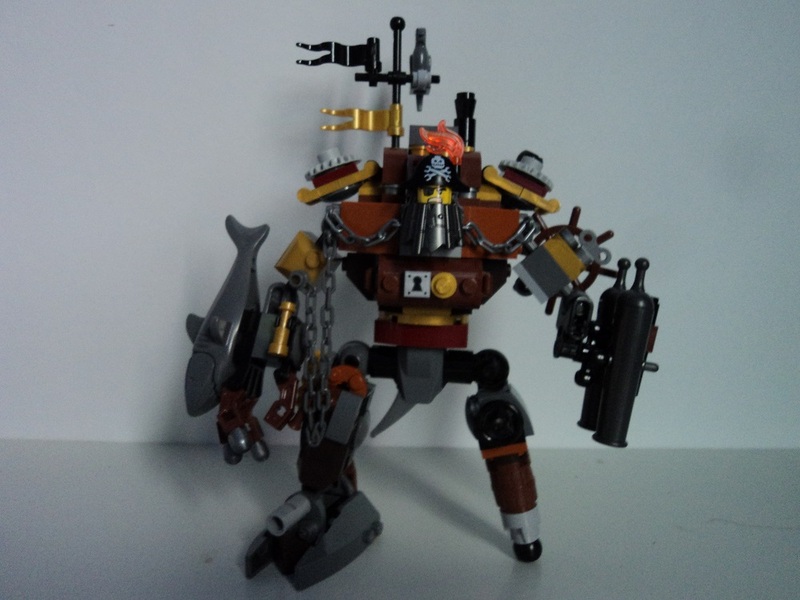 The gears atop MetalBeard's shoulders should be dark grey, but only come in light grey. The chain from his chest to his shark arm should be metallic. I'm also fairly certain that the brackets holding his treasure chest are supposed to be gold. And that's all there is to say, I suppose. Arg! Awesome! Are you comfortable sharing what you spent to build the physical model? 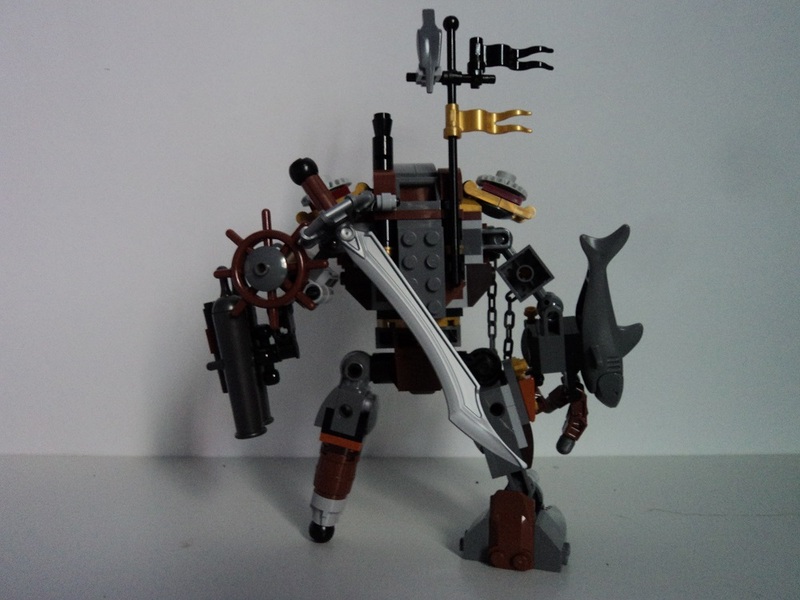 I had a lot of the parts necessary in my collection already, so after the cost of buying the official MetalBeard's Duel set it was only a matter of maybe $10 or so in Bricklink orders. Quick question: I don't know what that doccument is, or how to open it. I'm super curious to know what bits you used for his third hand cannon though! I'm more or less contented with the figure as he came, with minor tweaks (like the long chain and the lock position), but he really needs that third barrel on his hand, hahaha. LXF is short for LEGO Exchange Format. 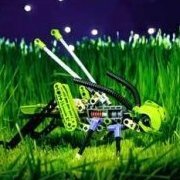 It's the filetype used for models built with LEGO Digital Designer, a free software application that lets you build virtual LEGO models. Anyway, this is an awesome model. I think I already might have replied to it on BZPower or somewhere? I forget. In any case, great work! Thanks! I believe you did respond to the topic I posted on BZPower, there was some discussion about what shade of gold MetalBeard uses in the film. 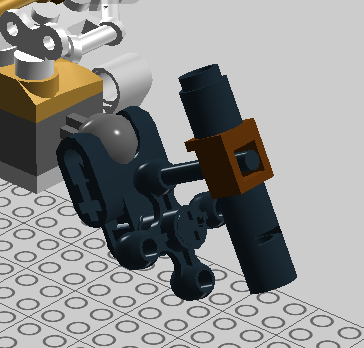 Here's a shot of the assembly of the cannon hand with the two big cannons removed. Hopefully it does the trick.